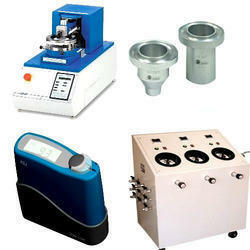 Our range of products include melting point apparatus and paint testing instrument. 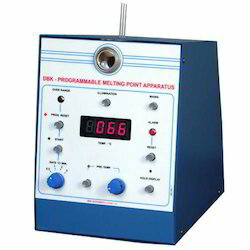 We have various models of Melting Point Apparatus to suit the need of different customers. The Melting point apparatus is designed to determine the melting points with high accuracy, and is supplied with a silicon oil bath with heater for heating the bath. The unit has an arrangement to hold the capillary containing the sample in uniformly heating media. We offers from basic Melting Point Apparatus with thermometer to high end Automatic Programmable Melting Point system with color monitor. We are engaged in supplying a wide range of Paint Testing Instrument which is extensively used for checking the valve of color in various industries. Our range of product is known for its robust construction, efficient operations and durable finish standards. All our instruments are applicable in Education and Chemical Industries. Looking for Paint Testing Instruments ?